When you start assembling your vintage wardrobe it will probably quickly dawn on you that hardly any modern day jacket fits it. In my case – none that I already had. That is why I decided I absolutely needed to make this DIY vintage jacket! I have recently developed a passionate love for high-waisted skirts. The cherry on top with this kind of skirts is the waistband, so why cover it up with an ugly jacket?!?! The problem is that I found no modern jacket EVER which was made short enough to show my waistline (short girl problems). I almost heard the angels sing when I saw the picture of this pattern from 1950’s. It was clearly designed to be worn with high-waisted skirts! 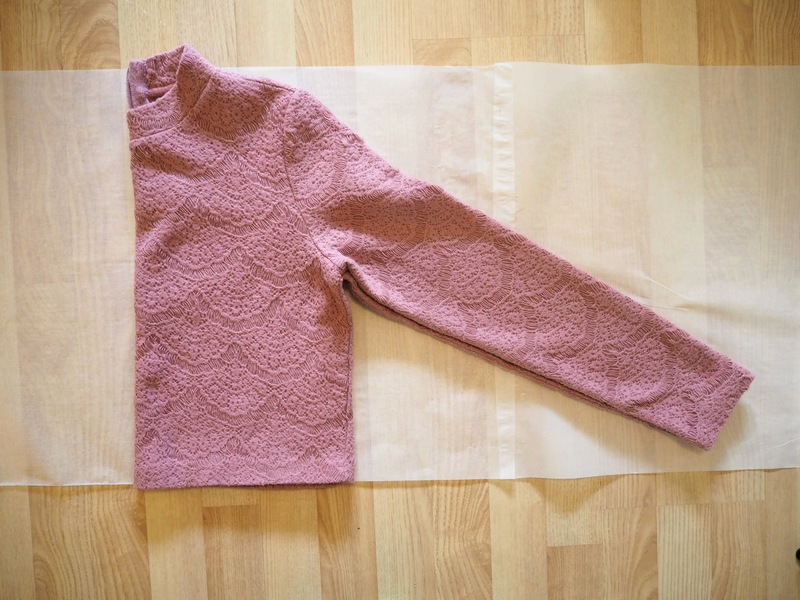 It is simple to make, easy to adjust the length without affecting the sleeves and it looks lovely! There are few ways to make this jacket. I will first show you the easy (and cheap!) way to make it. 🙂 I will focus on reproducing the look of the blue jacket with full-length sleeves and pompom fringe. This project comes in 4 pieces for the bodice (it is cut out together with sleeves), collar (optional) and 2 cuffs (also optional). It is very customizable, so go ahead and let your inner designer have some fun! To make the project cheap and cozy I bought a fleece blanket for @3 € in a local home decor store. 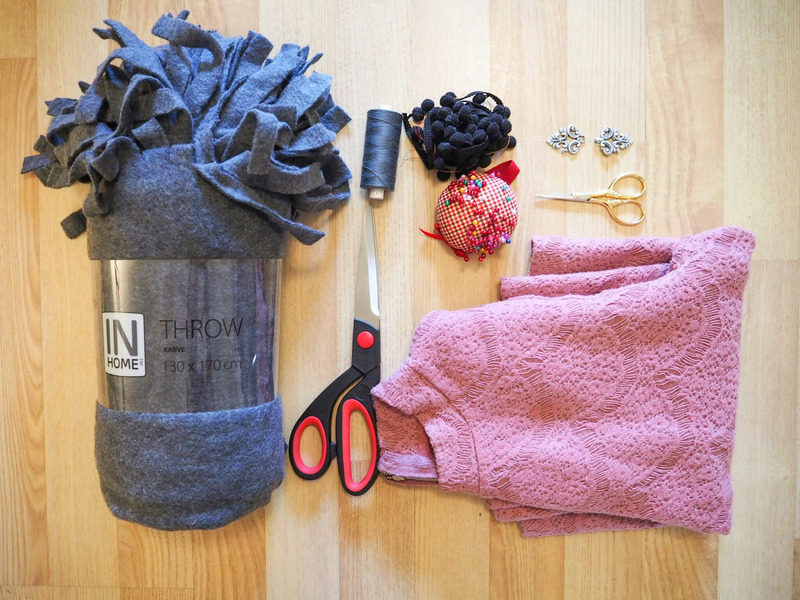 Fleece is extremely simple to work with. It doesn’t fray, doesn’t require interfacing or lining. 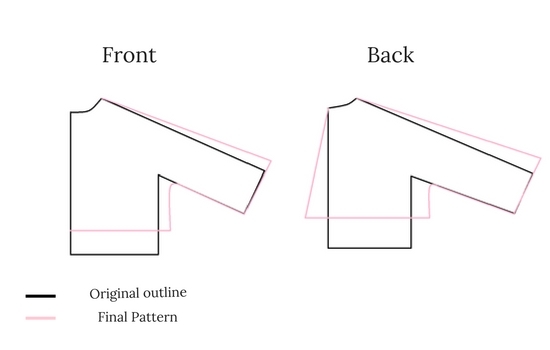 I am working on a more in-depth post where I will explain how to make the collar and cuffs if you’re making a jacket that requires lining. Stay tuned! You can also use other materials and choose them depending on the effect you’re going for. Other good options are light-weight wool, fur, taffeta, velveteen, satin. Really, your imagination is the limit. In order to get the right length of your jacket, measure the length from your shoulders to your waist – then shorten your template accordingly. The whole jacket is flowy, with big, over-sized sleeves, so we have to add a few cm on the top of your sleeves and on the sides of both back and front. Add seam allowance (1 cm). I skipped seam allowance on the center line of front panels and bottom part of both front and back. If you are working with anything else than fleece or you didn’t manage to cut it with neat, straight line – add seam allowances all around your bodice. Join the center seam of the two back panels right sides together and stitch. Join shoulder and top sleeves of front and back panels right sides together, stitch. Press the seams open. Join and stitch together the sides and underarm seams. Clip the curves under the armpit and press the seams open. If you’re using similar material to mine, the collar is very easy to make. It is enough to cut out one collar piece and stitch it together with the bodice. 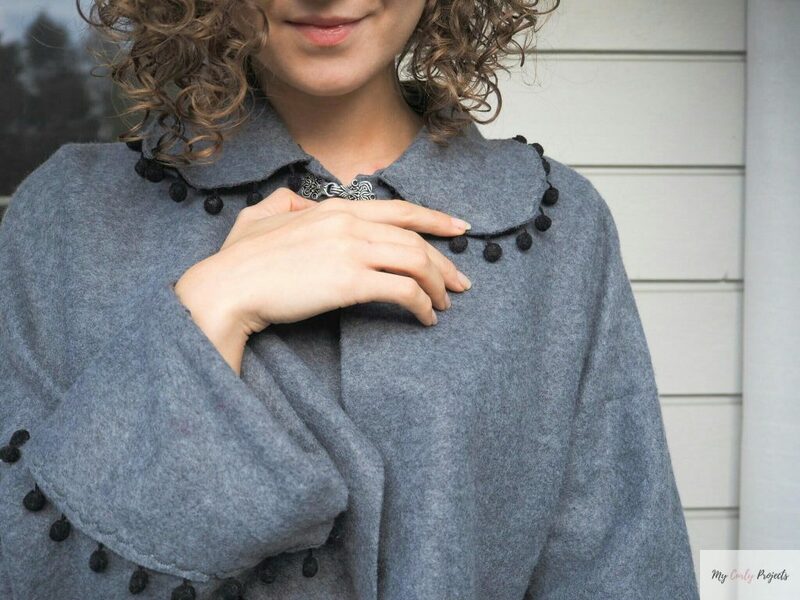 Find out how to make the collar by clicking here. Stitch the ends of your cuffs, right sides together. With your jacket wrong side out, wrap the cuff pieces around the sleeves. 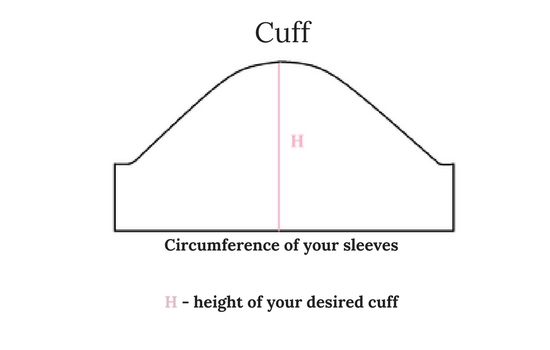 Cuffs should touch the sleeves with their right side. Stitch them in place and flip the jacket right side out. Trim the seam allowances. The cuff must be turned towards the sleeve and will cover up the seam you’ve just made. At this stage, you can choose the form of closure you want to use. If you want to have a button, put it on your jacket and determine where would it suit you best. I recommend putting it close to your collar, as shown in the original illustration. Measure your button and make an appropriate buttonhole. Sew the button in place. Your jacket is almost done! The only thing left is attaching the ball fringe, which is completely optional. I am terribly lazy these days, so I chose to attach the ball fringe with my machine, instead of blind-stitching it by hand. In order to make it look… reasonable 😉 I picked a decorative stitch (scallops) that complimented the pompoms of the fringe. If you are going for more pure, vintage style you should probably attach it by hand. 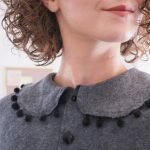 Sew the pompom fringe on both collar and cuffs. You might want to stitch the cuffs to the sleeves by hand to keep them in place. Press out the material and your jacket is ready! Did you like this tutorial? Please let me know if you made your own, 1950’s inspired jacket! 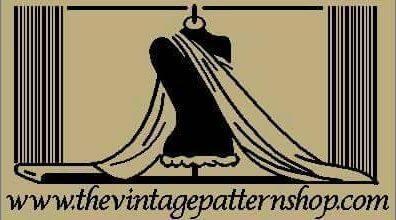 Thank you for reading and stay tuned for more vintage inspired projects!